Russian MEMS Association is glad to invite you to the upcoming annual International MEMS-Forum, which will be dedicated to design, manufacturing, testing, standardization and application of MEMS. It will take place in Kursk State University, Kursk, Russia, on June 29-30, 2016. We are glad to announce the latest MEMS-Forum 2016, an international conference and exhibition, dedicated to design, manufacturing, testing, standardization and application of MEMS. Nowadays MEMS-Forum is an international level conference that annually becomes a leading event in the field of microsystems in Russia and the CIS. Since 2014 we organize our international conferences on microsystems in industrial clusters of Russia. The first step in this direction was the 4th MEMS-Forum 2014 in Kazan. The 5th MEMS-Forum 2016 was held in a large innovative center of our country – Nizhny Novgorod. 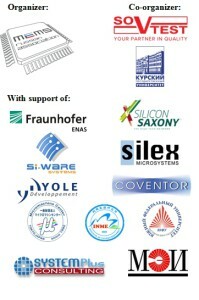 The 6th international MEMS-Forum will take place in of the industrial centers of Central Russia – Kursk. Kursk State University, the leading research organization of the region, was chosen as a meeting place for the Forum. The keynote of the 6th International MEMS-Forum will become a gaining strength theme “Industry 4.0: The fourth industrial revolution. As always, special attention will be paid to the topic of smart sensors and systems. During the 6th International MEMS-Forum 2016 different microsystems technologies and devices will be discussed from the point of view of their design, manufacturing, testing, standardization and application. There will be also presentations on recent trends in microsystems in Russia and abroad. The reports will be splitted into the main blocks, concerning design and manufacturing of MEMS. The agenda of MEMS-Forum 2016 will be divided into two days with several sessions. During the cultural part of our Forum program the participants will have a chance to see various sights of Kursk. In the city and its suburbs a lot of significant for Russia events annually take place, among them – Central Russian Economic Forum and Kursk Korenskaya fair. This year the participants of MEMS-Forum 2016 have a unique opportunity to stay a few days after the end of MEMS-Forum and visit both of the events mentioned above at a time of July 1-2, 2016. * You can find some information about these events below. Central Russian Economic Forum (CEF) during its short history has become a crucial event in the economic and political life of Central Russia regions. Every year, the Forum highlights topical issues vital for the future of Russia and provides opportunities to discuss them. In 2016, the Forum theme is “Economy in the interest of new generations”. The Forum will address the formation of an economic and social foundation for creating public welfare of future generations. One of the key Forum events is a set of exhibitions targeting both today’s real business and youth. In particular, young researchers and entrepreneurs of Central Russia annually present more than 100 innovative projects and solutions at the Forum. The history of Kursk Korenskaya fair throws back to ancient times. The first record of it dates to 1708. Because of its scale and scope Korenskaya fair is now called one of the main trade areas of Central Russia. However, the fair is not just business communication. Holiday atmosphere prevails here from the first day till its end. In conclusion, it’s important to note that new MEMS technologies and devices nowadays are of great importance to Russian enterprises. The interest in microsystems in our country is explained by the fact that they can be used in wide range of applications. Their universality makes it possible to use them both separately or as compound parts. Therefore our Forum was always intended to be a conference with a wide range of subjects, high information value towards real-life experience. At the same time, the high level of conference is provided through to participation of leading international and Russian specialists of MEMS industry. On behalf of the international committee: Dr.Sc., Prof. Igor Merkuriev (MPEI, Russia), Dr. Torsten Thieme (Silicon Saxony E.v., Germany), Michel Allain (System Plus Consulting, France), Sondra Di Sabatino (Coventor, USA), M.Sc. Tomas Bauer (Silex Microsystems AB, Sweden), Dr., Prof. Zhiyu (Jerry) Hu (Ph.D. MBA) (Shanghai Jiao Tong University & Shanghai University, China), Ph.D. Takashi Mihara (Micromachine Centre, Japan), Mostafa El Khouly (Si-Ware Systems, Egypt) – I would like to welcome you to our 2016 event. 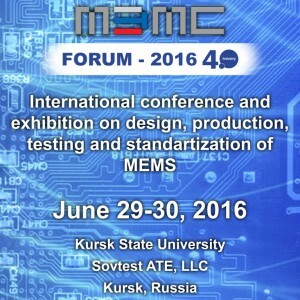 MEMS-FORUM 2016 will be held on June 29-30 at Kursk State University in Kursk, an ancient city of Russia. Kursk is a large economic and cultural city in Central Russia. One third of industrial production potential is concentrated here. On the region area a world’s largest iron-ore deposit, named Kursk magnetic anomaly, is situated which provides Russian and foreign metallurgy with raw materials. It’s important to mention that Kursk is a native town of MEMS-Forum organizers – Russian MEMS Association and Sovtest ATE. This year Sovtest ATE company celebrates the 25th anniversary of its successful work at the Russian and the CIS electronic market. Today the company has an extensive field of activity including design and manufacturing of test equipment and supply of equipment from leading foreign producers for hundreds of Russian radioelectronic enterprises. 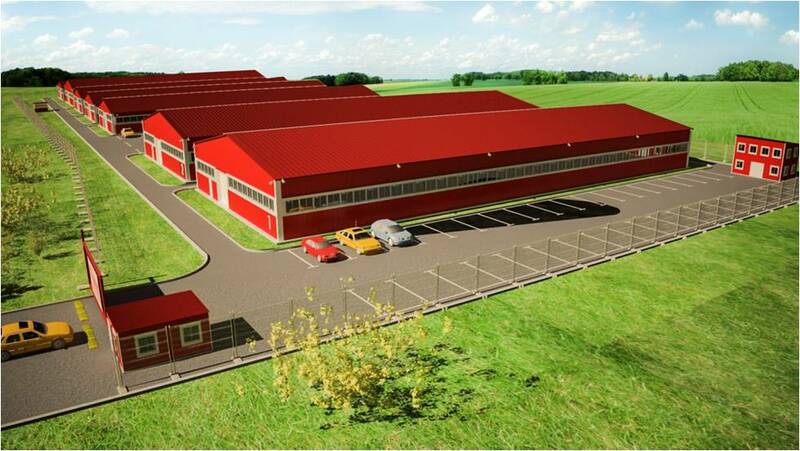 Aiming to widen the production capacity and to increase the range of manufactured products, in 2015 Sovtest ATE started the building of a plant in Kursk. Radioelectronic components, products and equipment of various profiles are planned to be manufactured on the new plant of Sovtest ATE. “Russian Association of micro-electromechanical systems developers, manufactures and consumers” (RAMEMS) was established in June, 2010. Nowadays RAMEMS is one of the leading micro- and nanosystems organizations in Russia. Within the sphere of its activities the company provides its assistance to Russian enterprises in development of high-tech projects on design and manufacturing of micro-nanosystem devices (MEMS-accelerometers, gyroscopes, RF MEMS, MEMS-scanners, etc.). Also RAMEMS supplies the customers with different sensor of Russian and foreign manufacturers. Reserve a room in “Prestige” Hotel till the end of May 2016 and receive a discount special for the guests of MEMS-Forum 2016 (please, find more detailed information and the prices in the housing application). To reserve a room you need to fill in the Housing Application Form and send it by e-mail at prestige@prestigekursk.ru. To receive a discount, please, make in your HousingAppForm a following note: “MEMS-Forum 2016 participant (with support of Sovtest ATE)”. Taking into account that here in Kursk in the end of June there will also take place Central Russian Economic Forum 2016 and Kursk “Korenskaya” fair, we advise you to reserve a room in “Prestige” hotel till the end of May. 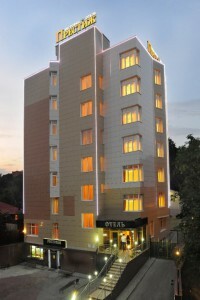 The number of special price rooms can be limited by the Hotel Administration. In case of any questions, please, contact Ms. Tatyana Orlova by phone +7 (4712) 73-11-13 or by e-mail orlova@mems-russia.ru. Our call for papers is now open until June 10, 2016. Abstracts should be submitted by June 15, 2016. Presentation in .pdf format should be submitted by June 15, 2016. The official language of the Forum is Russian (the translation from English into Russian will be provided). It is estimated that over 70 delegates from across Russia, the Ukraine, Belarus and Kazakhstan will attend this conference, including business leaders, government representatives, MEMS developers, manufacturers and users, decision makers, engineers. Enjoy the tour on the ancient city and its suburbs. *Participation fee is due for payment till June 25, 2016. **Participation fee is due for payment till June 25, 2016. Note: The prices mentioned above include the cost of the city tour and the tour to Korennaya pustin. After the end of MEMS-Forum 2016 on June 30, 2016 a drink reception will be organized. The participation in the drink reception is paid for separately and will cost 20 €. **** Participation fee is due for payment till June 25, 2016. VAT (18%) is not included into the registration fee according to the simplified tax system.